$799, Merced - 2 Bedroom/ 2 Bathroom duplex- Includes kitchen with electric stove. Architect Series II. 5years old, excellent condition. 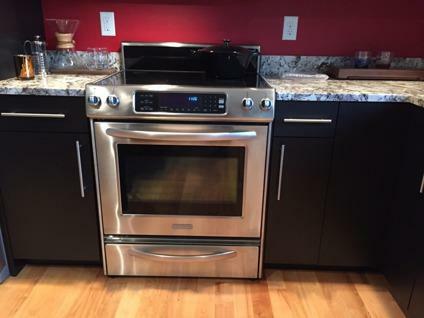 Stainless, glass top, convection, warming drawer, bread proof. Some scuff marks on glass cooktop. Free local delivery.